Children are the least protected participants of road traffic. If anything happens to them this is the fault of adults. Children are one of the most vulnerable categories of passengers. In similar MVA children suffer more than adult passengers. It is known that the existing safety systems deployed inside cars are not designed to operate to protect children. Therefore, it is required to use Children Restraining Means (CRM) when children are carried out inside cars; the most reliable CRM is a child seat. Starting with 2007 it was put into the Russian Traffic Rules that the use of CRM was mandatory for children under 12. In case CRM is not used a police officer can issue a fine in amount of 500 rubles. According to polls as many as 51% of parents of children under 12 have children seats but only 23% of them are using the seats on a regular basis. The parents who do not use child seats in cars are reckless and irresponsible. Nowadays, children begin to travel by car from the very first weeks of life. For the safety of the child by the time of such road trips need to buy a car seat. How, given the weight and age of the child, make the right choice? The child seat is more important than all toys. Even the first ride in a child’s life – from the maternity house – should be made inside the child seat. Children should always ride cars sitting in these seats in taxi, in a friends’ car, during tourist trips. If there is no seat – there is no ride. How much does the child safety in car cost? You can hear this audio clip on the Vesti FM radio station. What is more important than any toys? You can hear this audio clip on the Autoradio radio station. Bed, baby carriage, car seat! Autoradio radio-station was fonded back in May 1993. 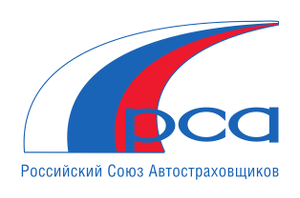 Over the 17 years of its history Autoradio radio-station has become a leader in the Moscow FM-band; its regional network is among 3 largest in the country, it broadcasts in 300+ cities in Russia. Autoradio is far ahead among competition in Russia among the motorist audience, meeting expectations set forth to the first Russian car radio. The bulk of the news flow of the radio-station "Vesti FM» consists of the exclusive information provided by the global network of RTR correspondents and own "Vesti FM" radio journalists. News programs are broadcast in special format: together with colleagues in the studio the anchor discusses and analyzes the latest news on economy, political and sport life in Russia and in the world. The TV channel "Auto Plus" broadcasts unique own programs on cars, motor sports and recreation activities. This involves setting speed records on asphalt road cover and testing engines in impenetrable swamps and deserts, fierce debates on the car future, novelties in the car market and developments in the major racing series. Plus the best foreign programs dealing with motor sports.